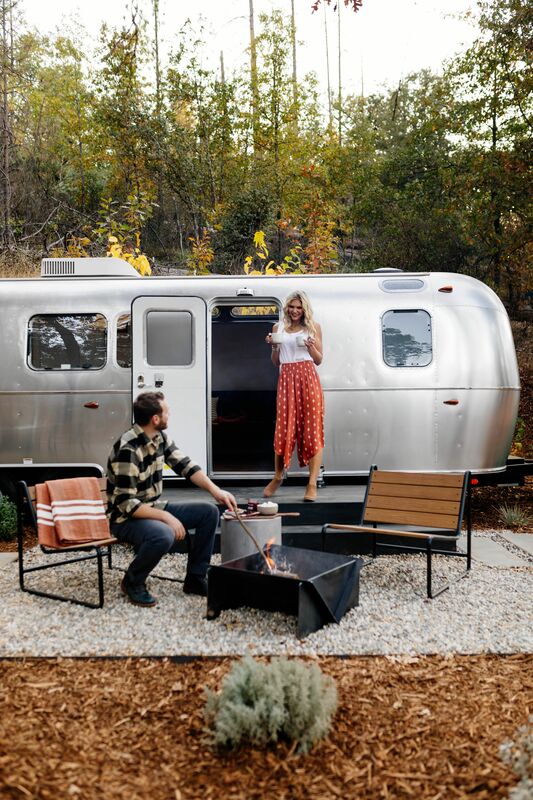 Outdoor lodging brand AutoCamp recently raised $115 million through a partnership with real estate private equity firm Whitman Peterson to open a nationwide network of hotels created from Airstream camper trailers manufactured by Thor Industries Inc. The firm plans to use the money to buy the land for the sites and customize the trailers. The agreement with Whitman Peterson includes a provision for potential expansion funding of another $115 million in the future. In the developers’ vision, this new hotel network, built around the recently emerged concept of “glamping,” will combine a full-luxury hotel experience with high-end trailers in a natural environment, with all the attractions of camping without any of the fuss. The projected compound annual growth rate (CAGR) for this segment of the hospitality market is 14 percent, according to Nichols. He notes this major shift in the hospitality industry is connected to baby boomers retiring with money to spend and desires to do “more than a trip to Disneyworld,” a kind of travel experience to “complement the non-materialistic mindset of millennials” as well, who make up a large portion of glampers. Many alternative hotel chains are creating “experiential” stays with nature experiences at their core to “connect people to the great outdoors in a way a traditional building can’t,” says Julie Purnell, managing director with real estate services firm CBRE. NREI: Who is the customer for this type of trailer hotel experience? Neil Dipaola: Moving into year 2020, we are finding that millennials are making up the largest travel [segment]. Young families are another third [of our target customers] and also active seniors. The senior population involves people who enjoyed the outdoors and camping when they were younger, but aren’t going to sleep on the bare ground anymore. So, it’s the baby boomers or jet set seniors, folks in their 70s, traveling couples and families traveling with grandchildren who don’t want to tow a trailer around and desire the convenience of turn-key camping. You also can’t underestimate the importance of corporate travel. For example, the who’s who of Silicon Valley, like Google, Netflix, Uber, Warby Parker and other full buyouts of property for corporate offsite [experiences] is substantial. There’s a reception desk an all the services and amenities of a hotel, but with the experience of sleeping in a tent or Airstream trailer. NREI: Who will you be competing with in today’s hotel sector: Airbnb, limited-service hotels, extended stay hotels? Neil Dipaola: The problem with Airbnb is you never know what you’re going to get. You might get a host who doesn’t know how to be a good hotelier. And regular hotels don’t have enough of an experience component. AutoCamp offers a new experience that’s distinctly different in each location, with a sense of the local community. We can intentionally locate properties adjacent to explorable towns. Yosemite is not in the middle of woods, but it’s a short distance from the town of Mariposa, where John Muir once lived, [with] antique shops, and fresh baked break. NREI: What gave you the idea for this new version of glamping? Neil Dipaola: In 2013, we bought a campground in Santa Barbara just when Airbnb was starting to hit the mainstream. We noticed an inconsistency in the Airbnb product and became enamored with the idea of Airstream’s mid-century design aesthetic connected to the great American road trip adventure. NREI: Which markets are you looking at for these developments? Neil Dipaola: We are looking to be placed in the top 20 to 30 major metropolitan areas. We choose iconic destinations that are a short drive from those markets. We have an eye on some of the major metros on the East Coast and are currently building a hub on the West Coast in the Bay area and Los Angeles to more efficiently manage properties. NREI: How much do you anticipate each development will cost? Neil Dipaola: You can compare the cost of [these] developments to building a traditional hotel, but we can build faster because our rooms are prefabricated in a factory. Our costs are controlled and not susceptible to weather. It’s actually less expensive to build an AutoCamp to a similarly sized hotel because less staff is involved. Also, because our hotel suites are on wheels, we can move them from one property to the next based on seasonal demand. That way, we never have hotel suites sitting empty. For example, we can pull the units from properties and bring them to music festivals and other places that suffer from a lack of accommodations. NREI: What types of returns do you expect? NREI: What is the time horizon for these hotels to open and become operational? Neil Dipaola: Yosemite is opening March 1, and there’s a pipeline of eight properties after this one involving iconic locations on the East Coast. Announcements are expected in the next six months. NREI: Given that we are at the tail end of the current economic cycle, are you worried about sustaining demand for this type of property in a downturn/recession? Neil Dipaola: If you look at trends in camping and outdoor travel, visitorship to Yosemite National Park, as an example, keeps a great record. In periods of recession, national parks and camping destinations see a rise in visitorship. People are canceling luxury trips and looking for weekend trips where they can travel by car and spend less. This model is a counter-cyclical business. Camp grounds actually do better during downturns and recessions. We’ve had an incredible amount of pre-bookings in places like Yosemite and already have two thirds of reservations for all of 2019. NREI: What is the price of an overnight stay? Neil Dipaola: Prices vary in low season from $120 a night for a family of four to a high season price between $300 and $400 a night. If you book early, there’s much better pricing. NREI: How easy or challenging was it to get funding? What was your fundraising process? Neil Dipaola: I’d like to underscore how big this market is. Last year, 61 percent of households went camping, which is 154 million Americans. The novelty of bringing hotel amenities into an outdoor space is becoming an established niche in the American travel industry. It wasn’t hard to get a frenzy in the institutional market. We hired the real estate investment bank RobertDouglas, and they brought the deal to some of the largest public and private institutions in the United States. We had at least 15 publicly-traded and private investment institutions that wanted to be part of this venture. We decided to work with Whitman because they have a really unique understanding of hotel and hospitality space, service, design and an in-depth understanding of real estate underwriting. NREI: What are the challenges of investing in this niche? Neil Dipaola: A lot of studies are based on the relationship with the word camping between men and women. Seventy percent of women have negative associations with camping, and seventy percent of AutoCamp guests are women. Now there are more solo women traveling alone, as well as groups of females. We’ve made natural environments more approachable... AutoCamp solves the issues for people who aren’t expert campers or for anyone who wants to camp, but has concerns about access issues. The trailers were built with the ADA in mind and allow wheelchair-bound individuals an opportunity [to use them]. NREI: What are the sizes of your trailers? Neil Dipaola: We are celebrating the small space or tiny house unit. The units are small and thoughtful in a way designed to make [them] feel spacious. Although not as large as a suite at the Four Seasons, each unit is about 190 sq. ft.